Me, my sister have 'completely forgiven' father Rajiv's killers: Rahul Gandhi - Integration Through Media ....! 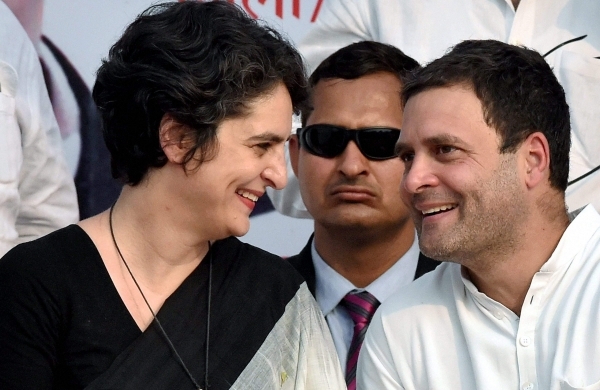 SINGAPORE: Congress President Rahul Gandhi today said that he and his sister Priyanka Gandhi have “completely forgiven” his father Rajiv Gandhi's killers. Former prime minister Rajiv Gandhi was assassinated by a female suicide bomber of LTTE, led by Prabhakaran, on May 21, 1991 at an election rally in Tamil Nadu. “I was 14 when my grandmother was assassinated. I used to play badminton with those who killed my grandmother. After that my father was killed. So you live in a particular environment… surrounded by 15 guys from morning noon and night, I don't thinks that's a privilege. I think that's quite a hard thing to deal with,” he said in a video shared by the Congress party on its Twitter handle.